For Spencer, moving back to beachside Florida and reuniting with his childhood friends has been a dream. Too bad when he finally makes it there nightmares and missing memory gaps plague him everywhere he goes. Something doesn’t seem quite right about Spencer’s old pals either, in fact all the teenagers at his school seem off... They’ve warned him to stay away from one girl in particular, Melanie Eldon, but.. whenever Spencer attempts to recover a missing part of his past, she arrives threatening to change the shape of his future forever. Melanie has one agenda.. trying to survive high school and keeping her younger brother safe. Her Ex is making that impossible. Then the new cute guy Spencer moves to town taking Melanie’s place amongst her old friends . He is someone she knows she needs to stay away from.. but can’t. Her secrets keep bringing them closer together. Dating one of her Ex’s new friends should be off limits. But when breaking the rules helps her and Spencer live through the night.. maybe it will be worth it. Or maybe falling for him will be the worst mistake of all... for everyone. 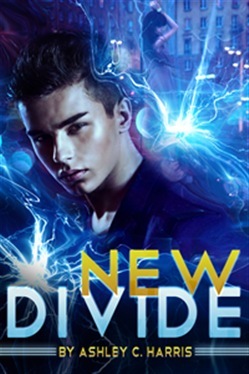 Acquista New Divide in Epub: dopo aver letto l’ebook New Divide di Ashley C. Harris ti invitiamo a lasciarci una Recensione qui sotto: sarà utile agli utenti che non abbiano ancora letto questo libro e che vogliano avere delle opinioni altrui. L’opinione su di un libro è molto soggettiva e per questo leggere eventuali recensioni negative non ci dovrà frenare dall’acquisto, anzi dovrà spingerci ad acquistare il libro in fretta per poter dire la nostra ed eventualmente smentire quanto commentato da altri, contribuendo ad arricchire più possibile i commenti e dare sempre più spunti di confronto al pubblico online.